Yo dawg I heard you like teletypes so I put a teletype in your module in your Eurorack so you can type while you teletype while you patch while you monome. monome’s Brian Crabtree has an exceptional way of finding the essence in musical computation. The original monome grid you can think of as a reduction of the very spirit of a display – in 8 by 8 pixels. His arc encoders did the same, but with lit wheels. aleph was a kind of computer; more recent modules brought inventive compositional ideas to that format. And now, he’s put a teletype and a display inside your modular. This is the moment where (record-screetching sound) a lot of people lose the plot. What is a “computer” doing inside your modular, anyway? First, what teletype is is really an unusual kind of programmable sequencer (“algorithmic ecosystem”) with analog interface and basic commands for generating compositional structures. And that seems a good thing. It won’t be for everyone, but if it is for you, this design is elegant and deep. teletype introduction from tehn on Vimeo. 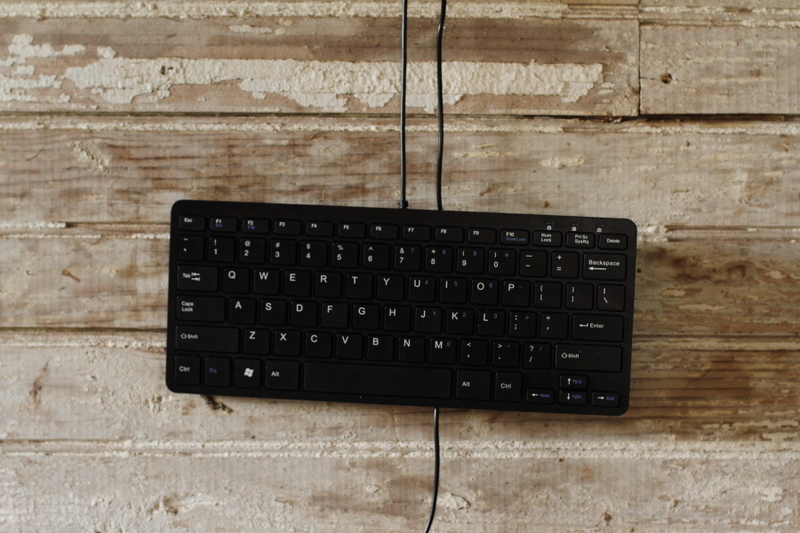 And after all, just as some jobs call for a knob, why not for typing commands? I remember once chatting with Max Mathews, father of digital synthesis as we know it, about why he liked text and wasn’t terribly fond of graphical interfaces. (Yes, that includes even Max, the software bearing Max’s name.) He explained that language was how he liked best to express ideas. Here, you get just that. A display sits quietly inside another module. But this isn’t just about live coding. The monome Teletype module has a keyboard attached, it’s true, but that’s just the start. Oh yeah, it’s also a tracker. And it’s an interface for (monome) grids. And it controls patch points, which you connect to other modulars (as per usual). It’s really probably best to watch the video – as always, Brian comes up with musical and thoughtful examples. What you get is patch cables and short lines of code working together – and then you can plug in monomes, too, or “walk,” a module with footswitches. As marketing experiment, it’s ludicrous: it’s aimed squarely at the intersection of people doing live coding, people working with monome, and people working with modulars. That seems like an inclusion set of … no one, at least up until now. At the same time, if it reaches even a select group of people who ‘get’ it, I suspect the audience it generates could be a compelling one. The monome endeavor in general seems to have a way of spawning the tribes meant to use it, shaping its own user base. The basic notion is that the keyboard and display – with nothing else – were the best entry point into algorithmic sequencing and musical composition. I’ll be honest, I’m surprised to see “computer” has so often become a bad word in certain circles. This is a topic for another post. Let’s at least say that “computer” with a small ‘c’ can mean any number of computational devices – including those with very narrow purpose. The criticism seems to center on “Computer” as the general purpose item. The broad scope of, say, a MacBook is both what attracts and repels – depending on your point of view. Regardless, even as coding interface, there is a limited language to learn. A fixed command set works in tandem with the control voltage outs. You can use variables, but this isn’t Csound in your modular (that’s been done elsewhere, naturally). It’s more that the display/keyboard combo seemed a nice way of creating flexible controls economically. teletype is an “algorithmic ecosystem” for US$480 including a nice keyboard. walk, with two included footswitches, is $140. Both ship middle of this month, with documentation trickling out. I have to admire the results, really irrespective of whether I would personally use them. Brian has created something that is really unlike any other particular module – or particular software/computer combination. teletype is a dynamic, musical event triggering platform. scripts are assigned to each of the eight trigger inputs. herein you can set CV values (four outputs) and trigger gates (four outputs), with extended functionality for pattern manipulation, slews, randomness, sequences, basic arithmetic, stacks, delays, and much more. CV input and a parameter knob can be integrated into scripts, and an internal metronome makes for standalone self-running systems. scripts are modified with a USB keyboard which plugs into the front panel. syntax is simple and easy to learn– tutorials, video, and reference pages are available. teletype ships with numerous ready-to-run musically explorative patches. teletype runs without the keyboard attached– you might treat editing as precomposition, or leave the keyboard plugged in for live coding. pattern creation can happen in various ways, including a full-screen “tracker” mode which will be familiar to many. remote control of monome trilogy (white whale, meadowphysics, and earthsea) modules is possible through a rear ribbon cable connection– various parameters of these modules (such as playback position, sync, reset, and preset recall) can be scripted into the trigger inputs on teletype. note: free firmware update required for trilogy modules, and a pin header must be soldered on. header and cable included with teletype. scripts are stored in internal flash. bootup and execution is instant. this is not a computer. it’s a digital algorithmic ecosystem, thoroughly designed for the modular environment, with an 80’s terminal sensibility. walk is a foot switch controller with extended functionality. each switch input has a momentary and toggle ouput. there is an XOR (one or the other) output, along with AND (both down). modular play is wonderfully expanded when enlisting your feet: manually trigger clocks, gate signals with toggles, or hook it up to teletype for comlpex event generation. all while keeping your hands busy with knobs, cables, and grids. 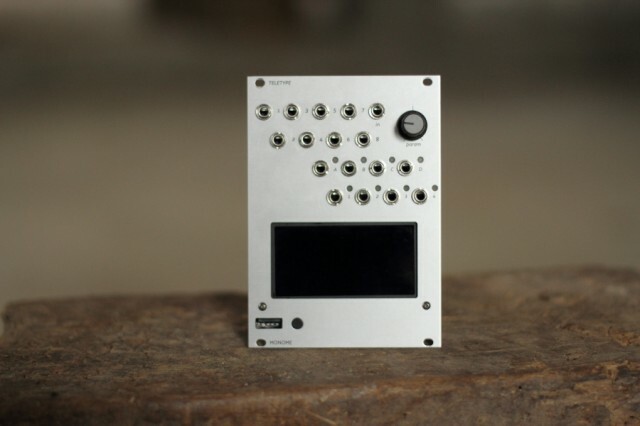 With so many Eurorack modules following the same basic design templates and philosophy, this to me is refreshingly different.